TeePublic: $14 tees - Everything's on sale! - Blog @ That Awesome Shirt! TeePublic: $14 tees - Everything's on sale! Don't sleep through this sale. Rock out with your sloth out. 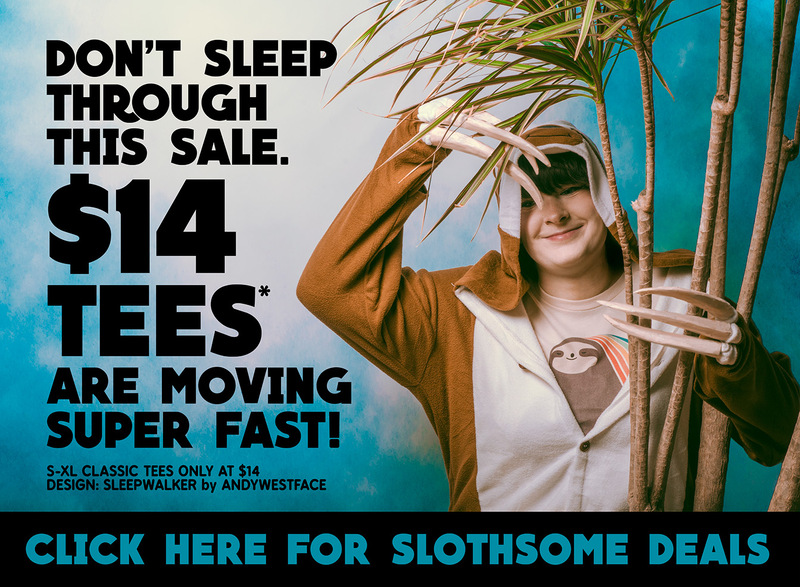 $14 tees* are moving super fast!